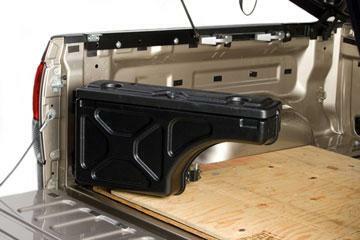 Just pull the latch and the Swing Case pivots nearly 180° over your lowered tailgate giving you instant access. 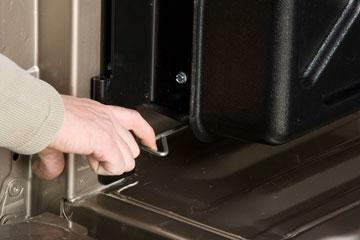 Then, the case swings back and locks securely in place. Plus, the locking lid keeps your gear secure, and the moisture seal keeps weather at bay. 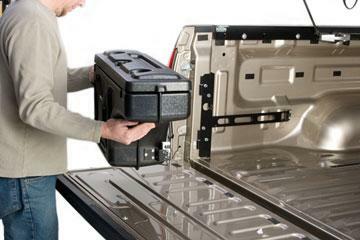 The Case easily lifts out of your truck bed to become a portable chest you can carry anywhere. 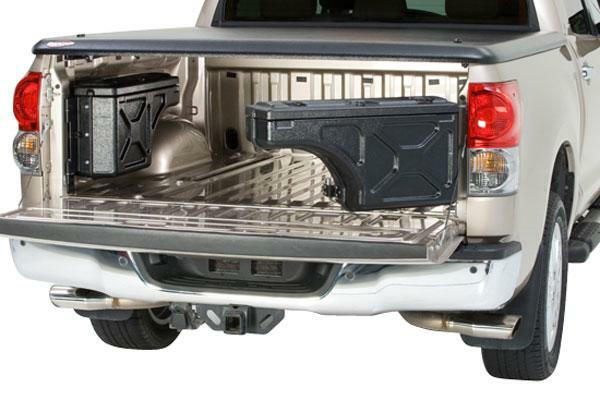 On the inside, a sliding tool tray keeps your stuff in order. 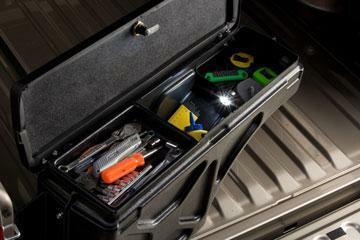 And, since it’s crafted from rugged ABS, the Swing Case Toolbox can handle all the abuse your truck throws at it. 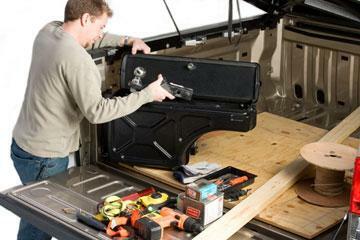 Built for the driver and passenger sides, you can get both for less than the cost of a traditional toolbox. 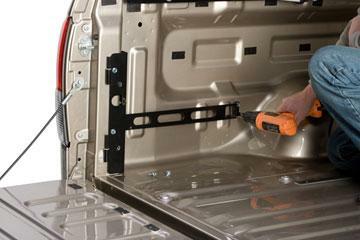 Installation takes about 5 minutes per side and everything you need is included. 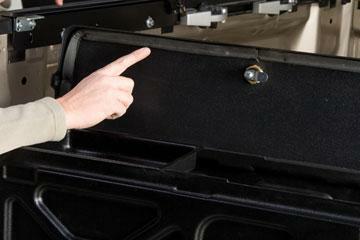 Best yet, your UnderCover Swing Case is backed by a 1-year warranty.